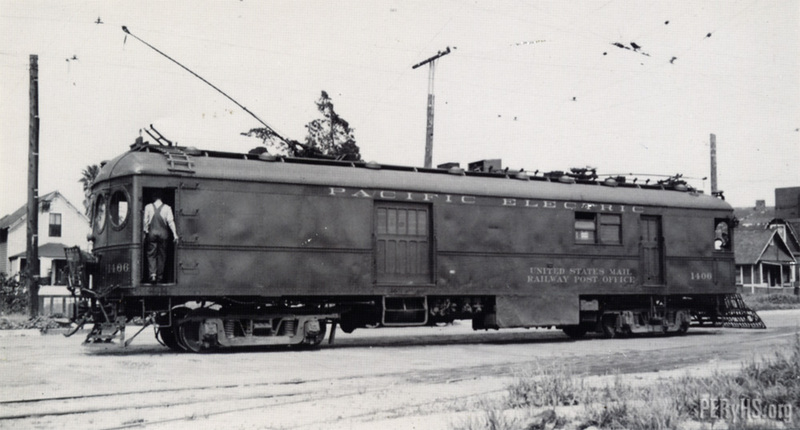 Pole up, Pacific Electric Railway Post Office no. 1406 has just arrived at Long Beach on a run from San Pedro. The year is 1936.